Unravel Italy’s idiosyncrasies and experience its essence in a book that topples communication barriers and provides an idiom-inspired road map to life in the Bel Paese. Drawn from her column in The Florentine, Linda Falcone’s If They Are Roses is the sequel to the best-selling Italians Dance and I’m a Wallflower. It clues into a country in which affection is abundant, jobs are scarce, art is more available than oxygen and soccer and style are one in the same. It explores a language worth deciphering: being a ‘doctor’ has nothing to do with medicine, ‘My mother!’ is a substitute for ‘My God!’ and al dente pasta proves a moral dilemma. Discover the heart of everyday Italy, where conversation is as rich and energizing as coffee and wit is the daily bread of the common man. 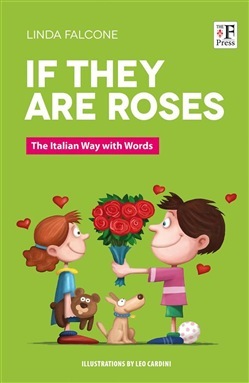 Acquista If They are Roses in Epub: dopo aver letto l’ebook If They are Roses di Linda Falcone, Leo Cardini ti invitiamo a lasciarci una Recensione qui sotto: sarà utile agli utenti che non abbiano ancora letto questo libro e che vogliano avere delle opinioni altrui. L’opinione su di un libro è molto soggettiva e per questo leggere eventuali recensioni negative non ci dovrà frenare dall’acquisto, anzi dovrà spingerci ad acquistare il libro in fretta per poter dire la nostra ed eventualmente smentire quanto commentato da altri, contribuendo ad arricchire più possibile i commenti e dare sempre più spunti di confronto al pubblico online.